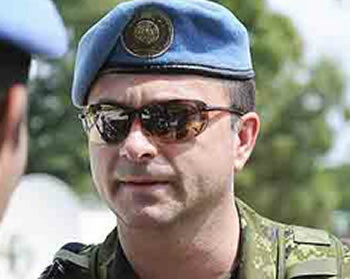 Here is a photo of Colonel Bernard Ouellette, Chief of Staff of MINUSTAH, the UN mission in Haiti. Colonel Ouellette was fired in July 2010 for having a romantic relationship with a UN civilian in Haiti. In July 2012, Colonel Ouellette files a lawsuit against the Department of National Defence and fellow officers for defamation.